Are you wondering which hero in Heroes of the Storm might be right for you? Here’s a guide to help. Heroes come in four basic types: Warriors, Assassins, Support, and Specialists. This installment is all about the Support role type. As always, due to the nature of daily quests and their gold rewards, even if Support isn’t your thing you may want to explore your options and choose one you enjoy (or hate the least). The core role of a Support hero is to help out their team. This doesn’t just mean healing. Support heroes also have crowd control abilities, powerful buffs, and debuffs which can turn the tide of battle. Many of the best Support players do their job by making sure their team was never in danger in the first place. Some Supports also have good offense depending on which talents they choose, which can help quite a bit if the matchmaking system lets your team down. Initially, none of Brightwing’s active abilities are heals. 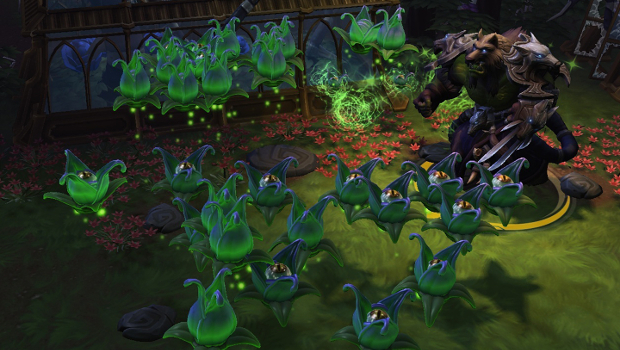 Instead, Brightwing has powerful crowd control abilities and a shield. She heals the most with her trait Soothing Mist, which fires off a smart heal to a nearby injured hero every five seconds. Therefore if you’re playing on a team with Brightwing, regardless of your class, you’ll want to be aware of where she is at all times and not go tearing off in every direction. Conversely, playing against Brightwing, you’ll want to separate her from the pack first. Blink Heal tends to be favored as her heroic talent, because it not only gives Brightwing extra healing, but allows her to teleport back to her team. 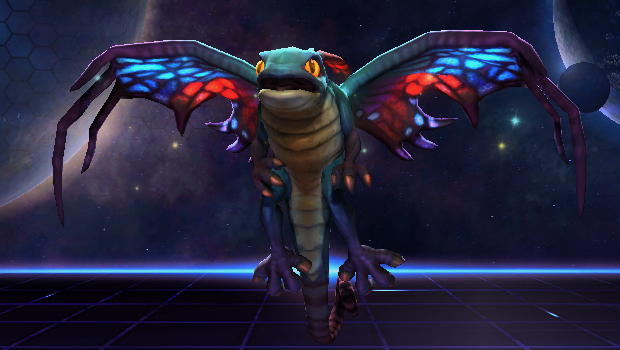 This also complements her Z ability — instead of a mount, Brightwing can port to any allied character on the map. Emerald Wind can be useful as an interrupt and extra crowd control, but Blink Heal tends to save Brightwing’s bacon more easily. Kharazim is the first Diablo Support hero in Heroes of the Storm and is designed to be a hybrid, who can excel at either healing or damage depending on the trait you pick and the talents you choose. The essential points to remember for both builds are that you need to be hitting something as much as possible to get the most out of your Trait pick and always have one charge of Radiant Dash handy to get out of sticky situations. Divine Palm is a heal while Seven-Sided Strike is a DPS move, making the choice relatively easy depending on which build you use. Unlike other Support, Li Li offers almost no crowd control, and plays like a classic healer. A build centered around her Wind Serpent can offer a bit of swing utility if the rest of your team was matched up poorly. Regardless of how you build her it’s pretty key to pick up Conjurer’s Pursuit at level one and try to lane for a while, because Li Li can get mana starved quickly just spamming her heal. Jug of 1,000 Cups is your preferred heroic in most situations, but it’s susceptible to interrupts. If interrupted Jug is all but useless, so read the room. If you were getting tossed around & stunned a lot before level 10, Water Dragon is likely the better choice that match. The StarCraft medic Lt. Morales is an amazing single-target Support hero. She can boost the damage output of a teammate to crazy heights while keeping them alive with her channeled heal and damage-reducing shields. Pair her with a Illidan, Butcher, Kael’thas or any other high-damage hero and they will tear through objectives and enemies with wild abandon. And her Medivac Dropship Heroic Ability will be a game changer in Hero League and in tournaments given its ability to transport her entire team from one map objective to another in seconds. But with all that goodness there also come the downsides. With no group heal or burst heal, she won’t be able to keep her team alive during team fights when the other team is stacking massive AE damage. This means she is best when played as a secondary healer. Also, she is very, very squishy with few escape options so positioning and map awareness will be key to her survivability and effectiveness. Malfurion provides both decent crowd control and healing. The downside of Malfurion is that he lacks burst healing. Regrowth functions similar to Regrowth in World of Warcraft — small heal up front with a long HOT. Malfurion can keep his team healthy, and his trait means they can hang in there for longer too, but overall if one hero gets focused and he’s the only Support, they’re probably in trouble. Entangling Roots is very useful crowd control, but takes a couple seconds to become active as a root, so it takes a bit of practice to target properly. Tranquility is a powerful healing talent, but is more akin to a heal over time, so you need to use it before your team is really in trouble. Twilight Dream can be a better pick if you’re playing opponents good at focus firing down one hero at a time. Malfurion isn’t healing through that, anyhow. In contrast to Malfurion’s HOTs, Rehgar is one of the strongest burst healers in the game, especially thanks to his huge Ancestral Healing heroic ability. The trade-off is that Rehgar is quite prone to running out of mana unless he takes the talent Feral Heart and spends a lot of time in Ghost Wolf form, which feels kind of odd until you get used to it. Rehgar can drop into his Ghost Wolf instantly with Z, giving him some decent mid-fight mobility, especially when paired with Earthbind Totem. Ancestral Healing can heal a hero from near death to full, and as a result is his preferred talent. Ancestral Healing has a short delay before it will actually heal so it’s a good idea to practice it a bit to get a feel for the timing. Tassadar has no baseline healing abilities, instead relying on some very strong shields to keep his allies alive. His Oracle is an excellent tool for shutting down sneaky Assassin ambushes, particularly if there’s a Cloak or two on the opposing team. Tassadar is another swing Support. He has a few very strong DPS builds floating around out there. Tassadar’s Avatar is a strong heroic which is easy to use and provides both longevity and a good DPS boost. Force Wall can be powerful too. In the right hands, it can be used to isolate members of the opposite team, change the tempo of a fight or guard your tail in a hasty retreat but it tends to be misused. Tassadars who can use Force Wall properly are dynamic and fun to watch, but the ones who can’t but take it anyway are a disaster about to happen. I’m not going to discourage you from trying it out if you think it looks like fun, but maybe try to learn it in AI matches first. 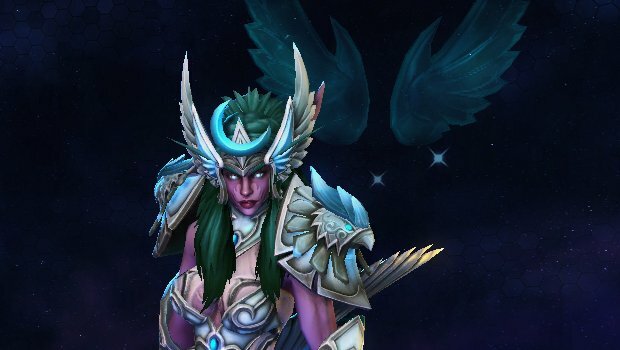 Tyrande is another swing Support which can be built almost like an Assassin, so she can be a good hero choice if you’re pugging and have no idea how experienced your teammates might be (or what screwed up team comp the matchmaker might throw your way). She has lots of burst DPS in her abilities even if you build your talents around healing. Sentinel is a great move, both for DPS and finding out where your opponents are. On maps with objectives in a single point, like Blackheart’s Bay, you can use Sentinel to figure out whether it’s a good time to turn in coins or if you need an extra player or two for backup. Starfall’s amazing damage with move speed crowd control is the clear choice for her heroic ability. Shadowstalk is receiving a buff to healing soon, so that may be more viable in the future. A paladin should bring lots of heals and stuns to your team, and what better paladin than a founder of the Silver Hand? Uther has both a standard targeted heal and a skillshot heal that also deals damage to enemies. His Hammer of Justice is a relatively short stun, but it’s still helpful for either chasing down a target or getting away. However, Uther has to get close enough to a running hero to stun them for that to work — one of his biggest downfalls is that he’s very easy to kite. The Divine Storm heroic talent gives Uther some good crowd control in a team fight, and tends to usually be the stronger choice over Divine Shield.